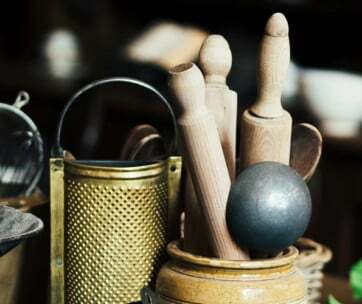 Masters of the kitchen don’t use just any other set of utensils to prep and whip up some delectable treats and sumptuous meals that are worthy of a Michelin star. 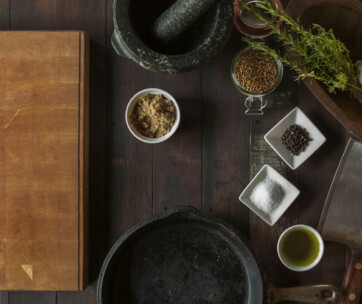 And while there can be a dizzying selection of worthy kitchen utensil sets in the market, one of the things that will definitely get your attention is Material Kitchen’s The Iconics. This 10-piece set from Material Kitchen has all the essential tools that every home cook needs to prep and cook meals for the whole family or even for a group of friends for some much-needed weekend gathering after a really hectic week in the office. Prepare a complex 6-course meal or even a simple breakfast for yourself or with your loved one using only the basics. 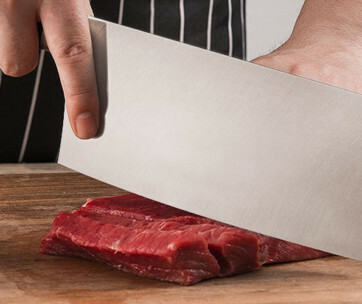 The Iconics comes with three knives: an 8-inch long chef’s knife, a 4-inch long kitchen knife that can double as a paring tool, and a 6-inch long blade with serrations which is perfect to use as a bread knife for your morning toast as well as thick slabs of perfectly-cooked meats. There are tongs to handle food movement on the pan or from pan to dish. There are three spoons, too. One comes with slots for instant draining of liquids while the wood and metal spoons are perfect for their respective functions. This basic kitchen utensil set also comes with a slotted spatula and an air whisk which is technically Material Kitchen’s name for your wire whisk. All these tools can be easily organized in a minimalist designed stand that should also look marvelous on the countertop. Utilizing only premium quality stainless steel and walnut in the construction of these grey blue handle-colored contraptions, The Iconics is surely a wonderful gift for foodies or someone who considers the kitchen as his personal abode where he can be creative.